A renewable energy company is to turn waste from whiskey at a distillery into power. Northumberland firm HydroThane UK has built an anaerobic digestion plant and biogas-fired boiler in Edinburgh for North British Distillery Co. 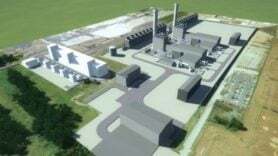 The £6m deal comprises three phases: the first was to design and build the plant, which is now done. The second phase will enlarge the facility and the third will create a water treatment plant. The site will use by-products from the whisky distillery process to generate energy. NDB opted for anaerobic digestion to save money on its energy costs and reduce its impact on the environment. HydroThane UK is sister company to HydroThane SDP in Holland. The businesses were formed by former managers from Biothane, an anaerobic digestion firm which was bought by French company Veolia two years ago. Last week ELN reported how a whiskey distillery which claims to be the world’s greenest has opened in Scotland. The £40m Roseisle Distillery in Elgin is run by drinks giant Diageo and has been awarded a BREEAM ‘Excellent’ award, which recognises environmental performance. The distillery will recycle several manufacturing by-products on-site in a bioenergy facility. Leftover barley grain will be used as biomass fuel and water reclamation measures will save up to 300,000 cubic meters of water per year. The distillery has also won the Scottish Design Award 2010 (Commercial Project) and the RICS Scotland 2010 Award for Sustainability Project of the Year.